Okay fitness junkies,let’s resolve the mystery of the ultimate question: soy or whey? I’ve started training again and I want to incorporate some kind of protein supplement in my food regimen because I really, really need to have results this time! There’s a lively discussion online between fitness addicts whether it’s better to consume soy protein – which is natural, therefore 100% approved by all vegan and vegetarian athletes, or whey protein – no introduction needed; by far the most popular and widely used supplement in the fitness world. I’m always tempted to choose whey when I look for protein powder online, because to be honest, whey meets all the needs of an athlete: provides more energy and stimulates muscle growth enough so you can actually see results in a short period of time. As most of you know, whey is a derivative of cow’s milk and as such is the richest source of amino acids, especially of branched chain amino acids which are the main source of energy in the human body. When they are low in quantity, your body cannot perform continuous actions like running or lifting heavy weight. Whey is known to provide the body about 9 times more fuel for muscle growth and repair it than soy protein. When taken after exercising, whey provides about 31% greater muscle protein synthesis than soy protein does. 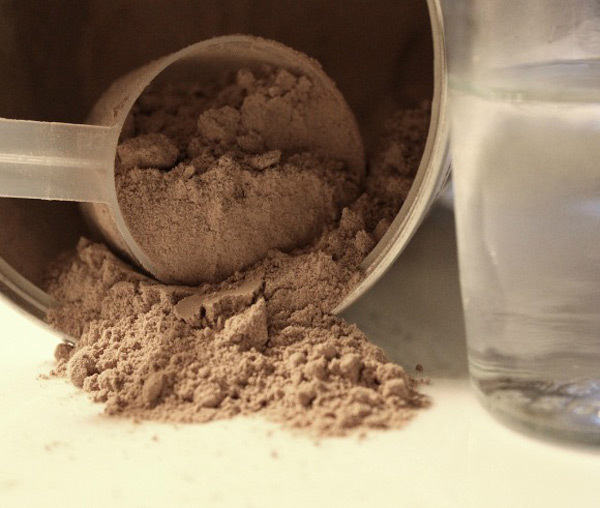 Additionally, incorporating whey protein in your food regimen can start a weight loss process. This is due to the small amounts of fat and carbohydrates that whey contains. It is important to make a distinction here between whey isolate and whey concentrate. Whey isolate contains less fat and less carbohydrates than the concentrate because it undergoes more mechanical processing. Also, that is why it is more expensive. On the downside, whey is a milk by-product. People who are lactose intolerant may want to turn to the alternative, soy protein. 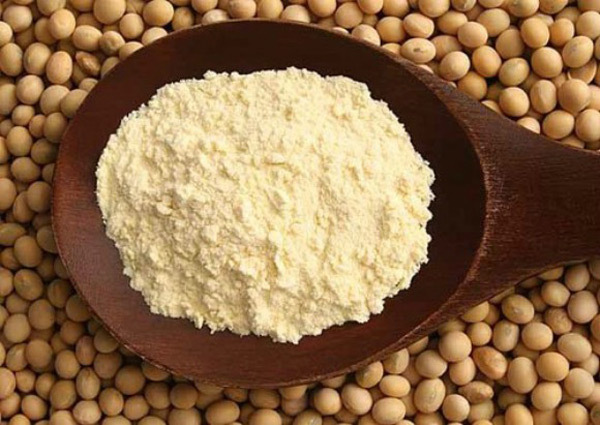 As its name suggests, soy protein is extracted from the soybean plant and it is considered the only plant-based protein that contains extremely high-quality protein with all the essential amino acids. As such, soy protein has a pretty convincing structure: 38% is pure protein, 30% are carbohydrates, 18% is oil and 14% is moisture. Plus, soy contains 9 essential amino acids. That combination makes soy protein pretty effective if your goal is to provide your body support for growth and development. Additionally, soy has high levels of arginine and glutamine which are stimulants for muscle growth and regulators of metabolic stress, respectively. However, there are some downsides of soy protein as well. It is known as a feminizing compound among fitness enthusiasts because reportedly it causes an increase in estrogen, the female hormone. This is a result of the high level of phytoestrogens in soy, particularly to the presence of isoflavones which are responsible for lowering testosterone and causing thyroid problems. However, this is debatable. There are studies showing that soy protein in fact is not the cause for lower testosterone levels. One of these studies showed that a soy drink after workouts increases the fat-bone free mass and strength in tested athletes. Other studies came with the conclusion that daily consumption of soy/whey mixture results primarily in lean body mass with no signs of lowered testosterone levels.